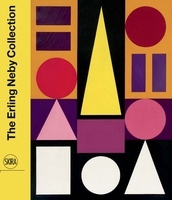 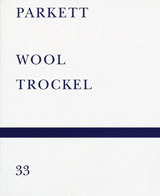 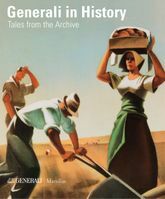 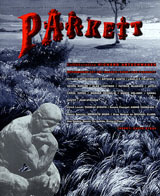 Paperback, 6.5 x 7.75 in. 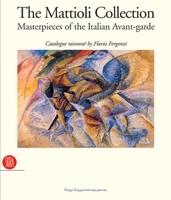 / 517 pgs / 200 color. 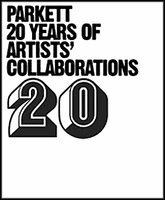 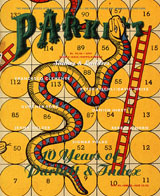 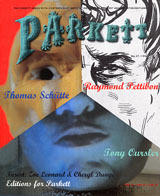 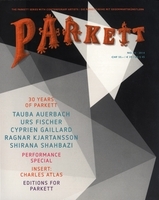 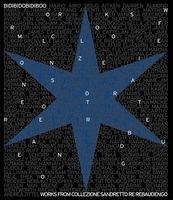 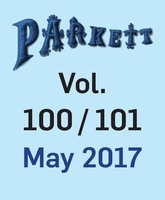 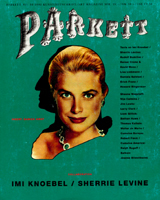 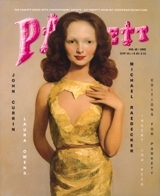 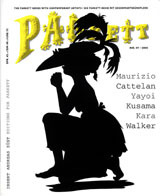 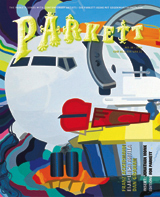 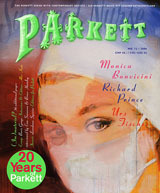 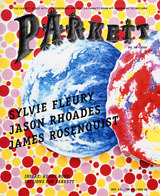 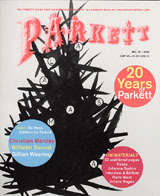 In 2009, the revered Swiss art publication and editions publisher, Parkett, celebrates its quarter-centenary with a comprehensive retrospective collecting all 200 of the artists editions it has produced since 1984. 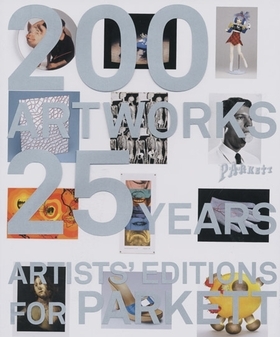 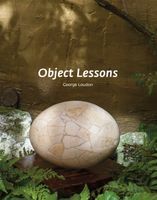 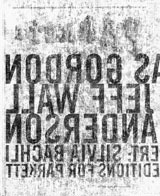 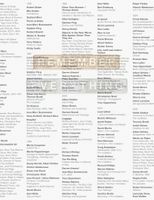 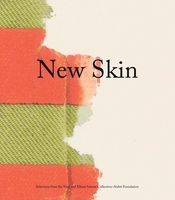 (They include Tomma Abts, Maurizio Cattelan, John Currin, Peter Fischli/David Weiss, Nan Goldin, Dan Graham, Wade Guyton, Zoe Leonard, Paul McCarthy, Marilyn Minter, Cady Noland, Raymond Pettibon, Richard Prince, Charles Ray, Gerhard Richter, Pipilotti Rist, Ed Ruscha, Dana Schutz, Hiroshi Sugimoto and Christopher Wool, to name just a few.) 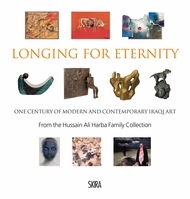 Originating at the celebrated SANAA-designed 21st Century Museum of Contemporary Art in Kanazawa, Japan, the exhibition builds on previous retrospectives held at Kunsthaus Zurich (2005), the Irish Museum of Modern Art (2002), The Museum of Modern Art, New York (2001), and Whitechapel Art Gallery, London (2001). 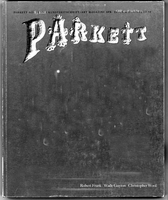 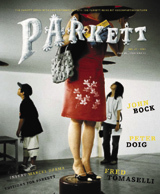 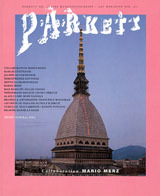 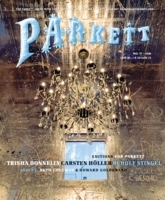 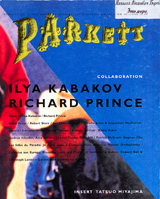 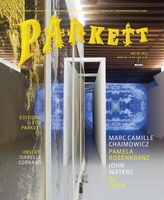 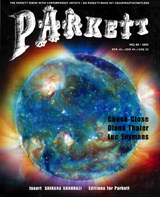 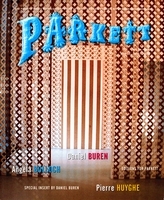 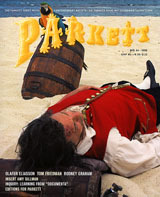 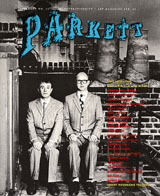 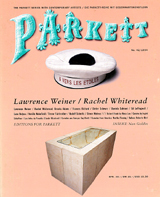 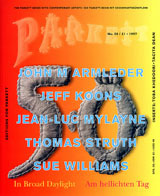 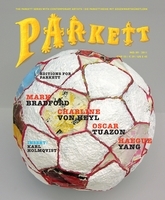 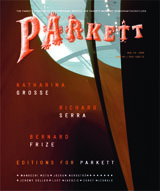 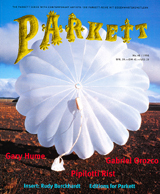 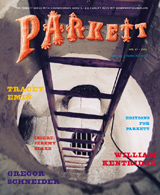 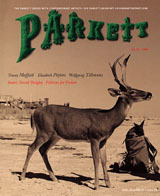 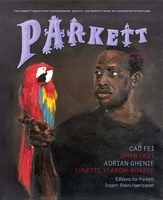 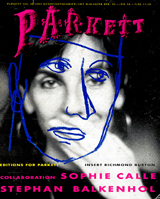 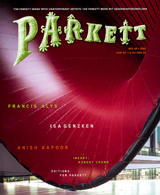 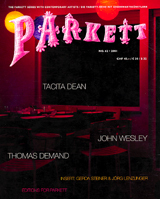 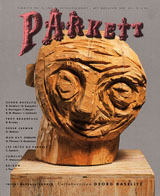 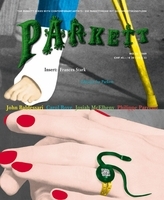 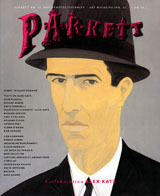 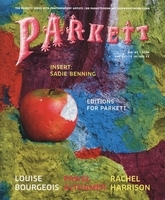 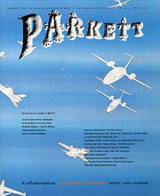 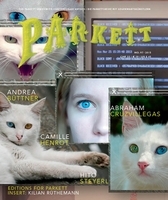 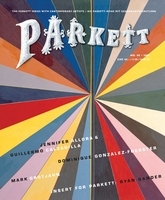 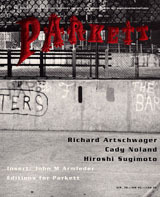 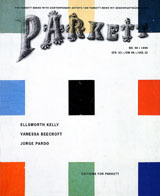 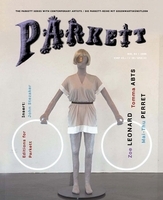 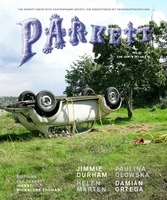 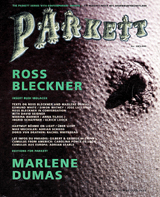 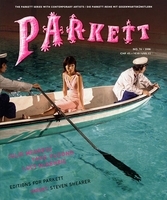 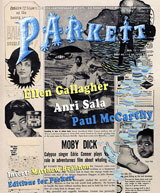 "Commissioned by Parkett, the most important artists of our time have created editions that represent the essence of their art or reveal an unexpected dimension... the works cover every possible medium including painting, photographs, drawings, prints, sculptures, videos, DVDs, and sound pieces," wrote Whitechapel's Iwona Blazwick in 2001. 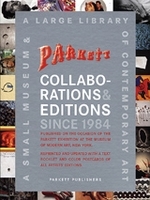 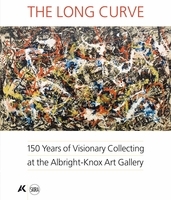 Weighing in at more than 450 pages, this super-collectible catalogue raisonné, produced in conjunction with the 21st Century Museum of Contemporary Art, is the most comprehensive catalogue ever produced on Parkett's fabled editions. 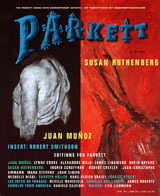 As such, it is a unique document of today's art. 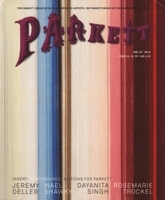 FORMAT: Pbk, 6.5 x 7.75 in. 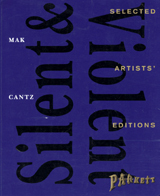 / 517 pgs / 200 color.